Delivery doesn’t do it anymore? 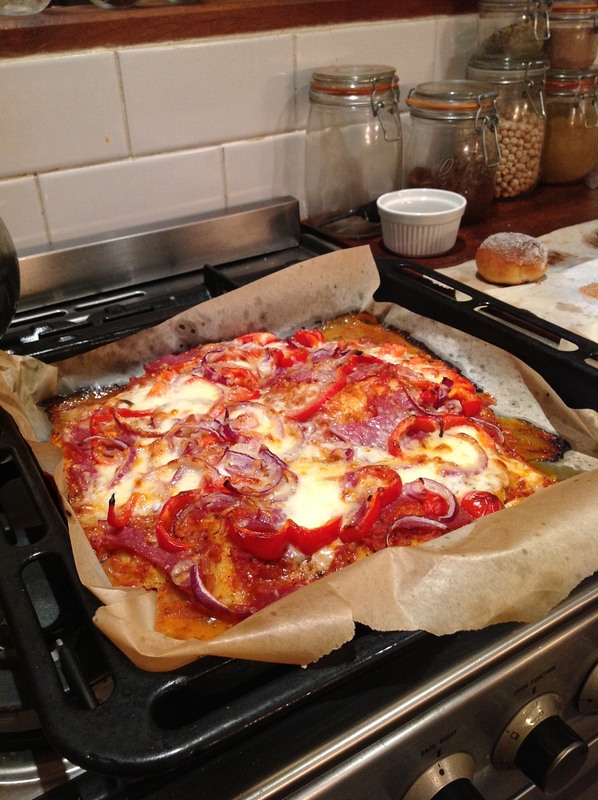 Best Pizza Recipe on it’s way! Overhyped Pizza East never convinced me either. Make your own pizza instead! Back in London means a lot of catching up with friends. A couple of days ago I had the girlfriends from my course over to do exactly that and I tried this recipe for the first time. While successful and less successful summer romances where discussed over some bottles of red wine, every single crumble of this pizza disappeared. I actually made another one for my boyfriend and the two of us finished aaalmost everything except two slices – which made a great breakfast the day after! 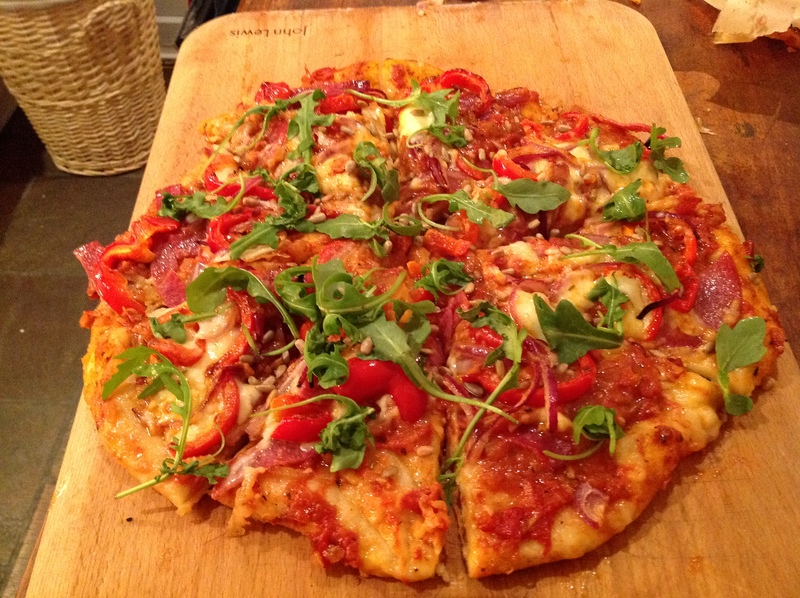 Here it goes – The best recipe for a quick and mouth watering pizza with the perfect crust! Mix all dry ingredients together and then add the water and oil. Tuck the dough on a baking sheet. Fry the onion and garlic together til opaque. Add the can of tomatoes, tomato purée (I use a sundried tomato kind – yummy!) and all the spices. Let simmer for at least 20 minutes. Easy right?! Put on top whatever you prefer or can find in your fridge. 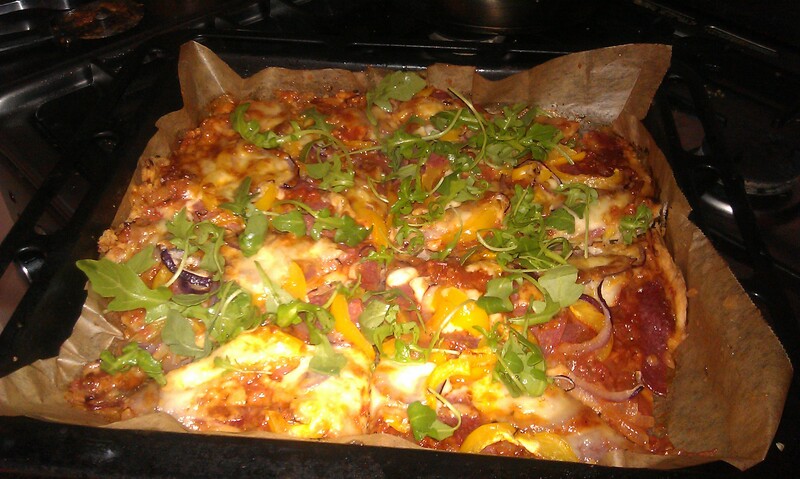 I’ve used salami, pepper, red onion, mozzarella and cheddar for the ones on the pictures. About 10 minutes in the oven, 250 degrees, or until the cheese get a nice golden colour. Before serving, add some rocket and roasted sunflower seeds! Promise it will be a winner – I’ve made it twice this week already!